The Boss – George M. Steinbrenner III – has sometimes been too tough and too demanding and even too mean. He has also been the perfect Yankees owner you couldn’t help but love around here. The man took a last drag on his cigarette and tossed it to the curb. There have been a lot of newspaper columns about The Boss since it was announced that his son Hal officially took control of the Yankees last week. They have written him as a good guy and as a bad guy and sometimes everything at once. They are all probably spot on. That makes The Boss just like the rest of us. 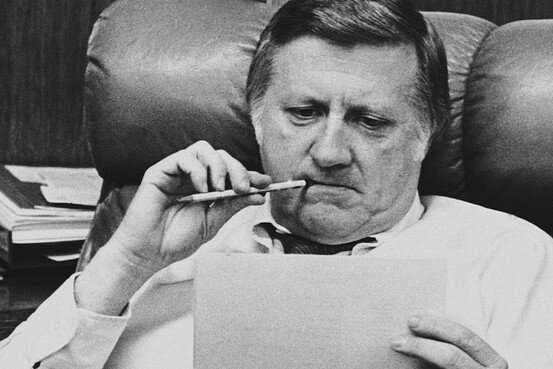 Some of the papers even ran a list of his highlights and lowlights as the owner of the Yankees. It was filled with championships and fines and suspensions, but they left a few things out. The Boss hired Bob Watson, who became the first black General Manager in Major League Baseball to win a World Series. He hired the first female Assistant General Manager Kim Ng and he also hired the second, current Yankees Assistant General Manager Jean Afterman. He hired the first female Major League Baseball radio broadcaster Suzyn Waldman. Before buying the Yankees he hired John McLendon, the first black coach in professional basketball, to lead the Cleveland Pipers. The Boss always wants to be first. He demands it and won’t accept anything less. How could you not love the guy? Very interesting stuff Todd. Good job pointing out George's firsts. I would take exception to your last line, though. It is very easy not to love a guy who was a vicious, cruel, petty and vindictive as George was. I certainly understand your point, Alex. But no one said love was easy. George had a big mouth. But he also had a big heart. What was the exact story... where he had a tantrum and fired someone.. but continued to fund him in some way... pay for his kid's college? I can't remember the specifics, but it summed up bad George and Good George in one event.